I came to know about it from my colleague who donated her hair in USA. 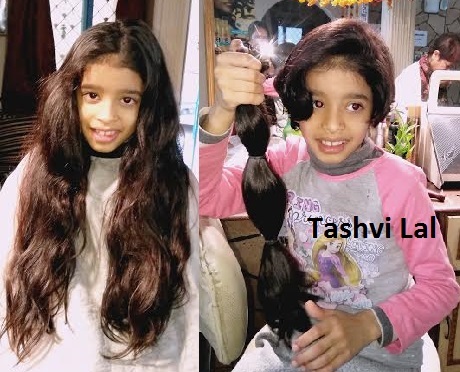 My daughter Tashvi had long hair and I asked her if she would consider this. She immediately agreed because in her school, donation to less fortunate is always inculcated. She is so convinced that she wants to do it again. I am glad to send her hair and hope for it to be useful and more valuable for someone. Thank you for making my daughter feel like a super kid. Best wishes & happy new year.